made of 60 mil rubber and that meant it would stay in place and especially important because my garage floor has an epoxy finish and is VERY slippery when wet. It is a solid mat with well constructed edges (very important for me as I live in Iowa and we get a lot of snow and I need it contained on the mat. When it arrived (came very quickly), I was worried that I wouldn't be able to get it off my porch by myself but it was very easy to slide it over to my garage and lay it out for my vehicles. The fact that I can move it and roll it up by myself is a big plus because I don’t have to wait for someone to help me and I know that when the winter is over and I want to store it - easy peasy - I can roll it myself. One last thing that I want to mention: if you want outstanding customer service and prompt responses to your questions - this is the company you should use. I can’t say enough about how happy I am that I made this purchase and since the quality is excellent - I know that these will last me a lifetime. I looked high and low for a mat for my garage that would reduce seepage of melting snow and rain to the wall shared with my rec room. 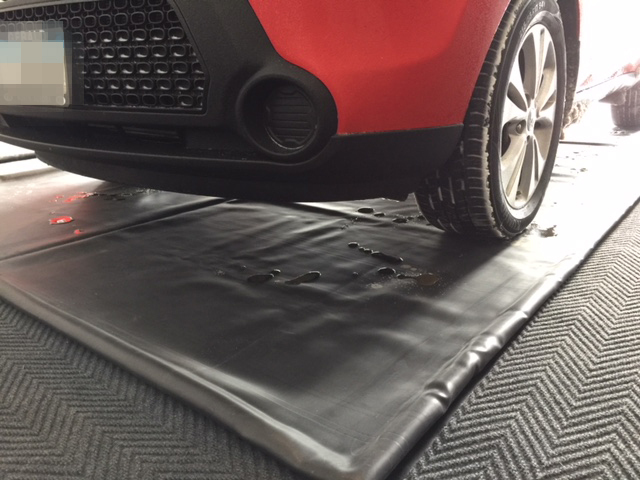 Most mats were thin in the middle and plastic. Reviews of them confirmed they could rip. I didn't see any reason to buy something that wasn't going to stand up over time. 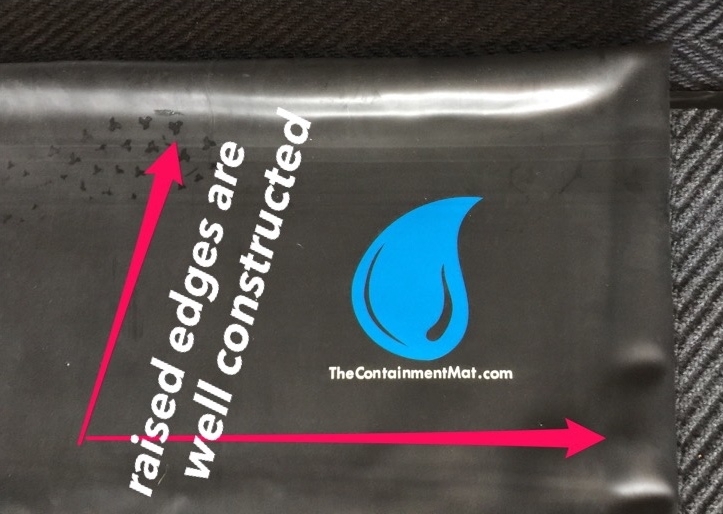 The Containment Mat is thin and rugged. It is just what I wanted. It may be a little bit more exspensive than the thinner mats, but I feel it is worth it. I also like that they are a smaller company located in the midwest. I am happy to support local and smaller US companies! I would recommend this mat for sure.